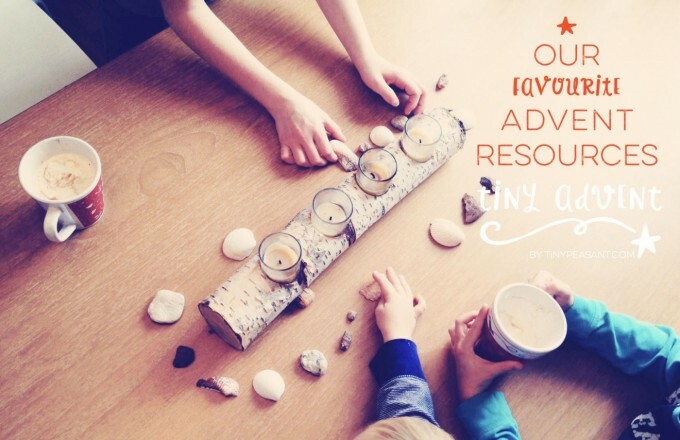 This post is a part of our Tiny Advent series. All of the posts are housed on this page for your convenience. We hope you follow along and enjoy the series. See below for two hand-crafted local products for your Advent centerpiece, as well as four online resources to compliment Tiny Advent. First, here are 2 lovely hand-crafted goods made by local women – we use these products in our home and love them, they are part of our advent centerpiece, and I adore both of the women who make these lovely goods. 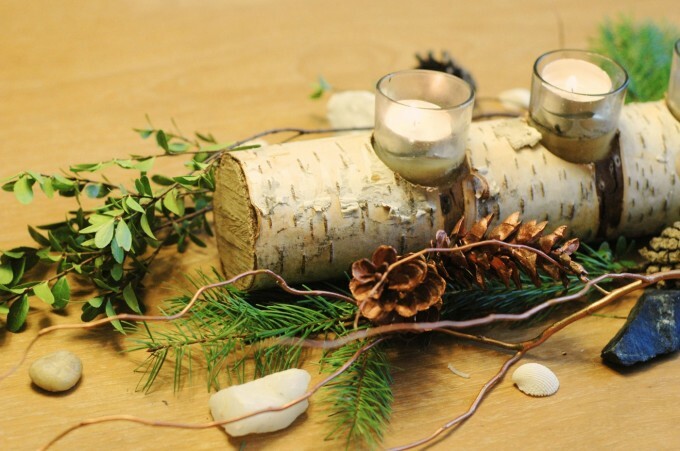 Log Candle Holder by Birch & Brush – handmade by an amazing local artist. 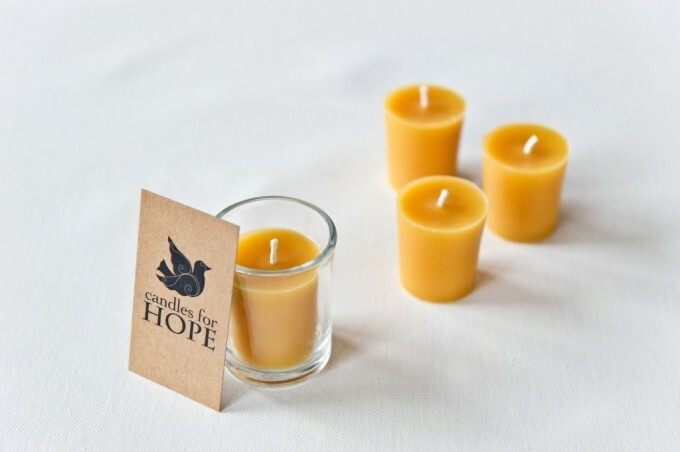 Beeswax votives by Candles for Hope. Candles for Hope exists to provide quality, hand crafted, 100% pure beeswax candles for you and your home. 100% of the profits are given to Mercy in Action, a non-profit organization that focuses on the crisis in Maternal/Newborn/Child health care worldwide. Below are a four of our favourite Advent resources that pair nicely with Tiny Advent and made by truly great folks. Two are great for kids and two are lovely for adults to dig deeper. 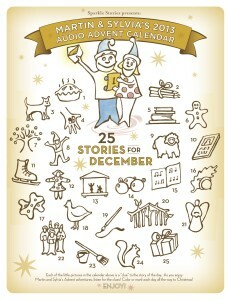 Last year we adored the Sparkle Stories Advent series and we’re looking forward to it again this year. It has a long intro story and then one short story each day for 24 days, in which Martin and Sylvia go on an adventure and find something wonderful. There is even a printable poster with illustrated clues that the kids can follow along with. We’ve had a blast incorporating some of the ideas from Advent Conspiracy and the curriculum package that encourages kids to give more (by giving less or giving handmade), love all, spend less, and worship fully. We don’t follow this curriculum so much as pull ideas from it – we might find a verse and activity in one of our advent calendar socks, for example. 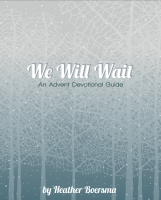 We Will Wait, by Heather Boersma, is a resource for you to prepare your heart this advent season, by guiding you through scriptures related to the advent themes, hope, peace, joy, and love. Four beautiful 8.5×11 posters based on these themes are included. I am excited to participate in her guided journey this season – she has set up a Facebook group for this purpose where she will be sharing daily videos. The group is open to all, so feel free to hop over and join! Another great resource is Tierra Soul’s 28 Day Inner Winter Celebration, which is centred on the same Waldorf verse as the Tiny Advent series. Sign up for free and receive daily emails with tons of inspiration and ideas. I had a blast collaborating on this project just a tad by contributing the photos below. It really got me thinking about what Advent means to me. Krista has created a beautiful journey for you over at Tierra Soul.